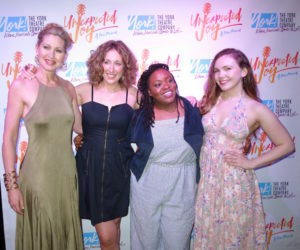 Three generations of female singers collide in Unexpected Joy, a witty new musical by Bill Russell and Janet Hood, testing the limits of their love. 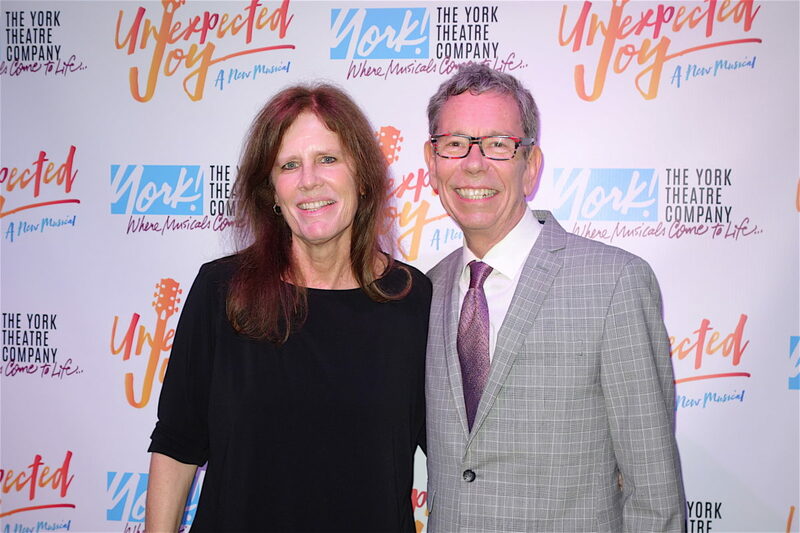 May 4, 2018: Unexpected Joy, a constantly amusing new musical, which opened last night at the York Theatre, has already been extended for an additional week due to popular demand. 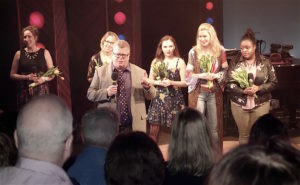 The story brings three generations of female singers to modern day Provincetown, where they are gathering for a memorial concert to honor the family’s patriarch. 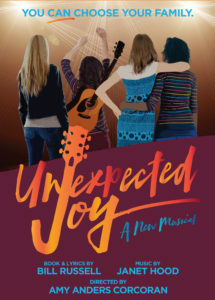 With a book and lyrics by Bill Russell and music by Janet Hood, the delightful musical explores the conflicts and long-held family tensions of three women from different peer groups. Sparks fly as the family struggles to discover the common ground of their divergent values and beliefs. 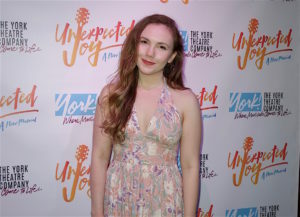 Directed by Amy Anders Corcoran (Associate Director, Escape to Margaritaville), and with music direction by Beth Falcone (Les Misérables), the four-member all-female cast features Courtney Balan (Falsettos) as Rachel, Allyson Kaye Daniel (Sistas: The Musical) as Lou, Luba Mason (Pretty Filthy) as Joy, and Celeste Rose (Sister Act) as Tamara. 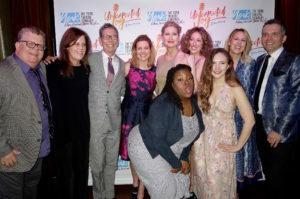 The creative team includes James Morgan (set), Matthew Pachtman (costumes), Ken Wills (lights), Julian Evans (sound), Deb Gaouette (props), and AnnMarie Milazzo (vocal arrangements). 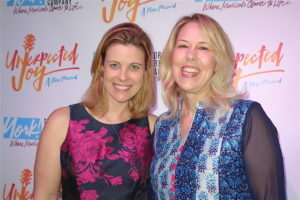 The Production Stage Manager is Julianne Menassian, with Assistant Stage Manager Shanna Allison. Casting is by Stephen DeAngelis. 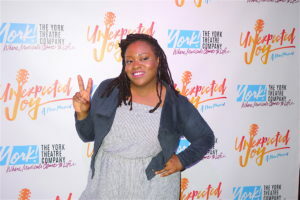 Tickets are priced at $67.50 – $72.50 and may be purchased by calling (212) 935-5820, online at www.yorktheatre.org, or in person at the box office at, Monday through Friday (12:00 p.m. – 6:00 p.m.). Senior Rush tickets are available in-person beginning one hour prior to performances for $20 cash only. Student tickets can be purchased anytime in advance at the box office during regular box office business hours. Limit one ticket per valid student ID and tickets are subject to availability. Student tickets are $20.00 cash or credit. 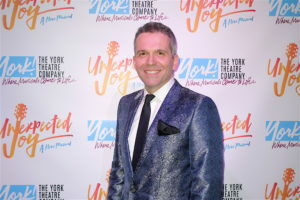 The York Theatre also offers $25 tickets for guests aged 35 years and under. Groups of 10 or more, contact Great White Way at 212-757-9117, or GreatWhiteWay.com.